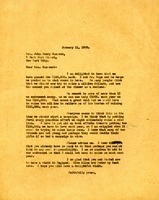 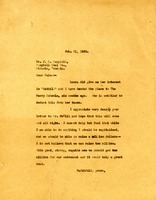 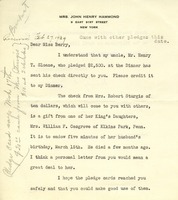 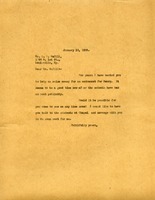 Martha Berry asks Mr McGill to come to Berry for a meeting to discuss arrangements for him to raise money for an endowment. 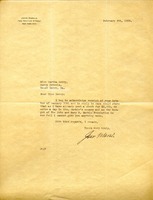 Berry thanks Hammond for his gift and hopes that he will visit. 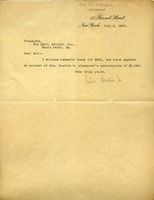 Mrs. Belding made a contribution of $2000 to the endowment fund of the Berry Schools in memory of her mother's death. 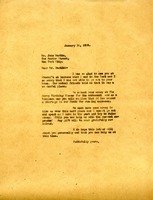 Miss Berry thanks her and passes on well wishes, referencing the inclusion of information about the use of the gift. 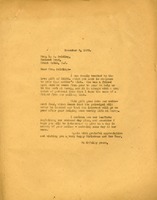 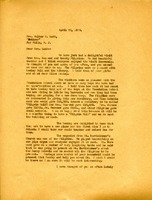 Letter to the Treasurer of the Berry Schools from Charles Butler Jr. 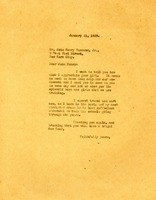 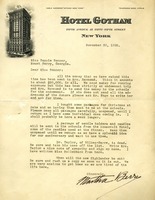 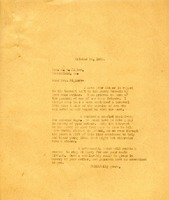 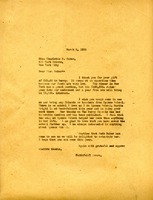 In this letter Charles Butler Jr. sends The Berry Schools six hundred and twenty five dollars as his third payment of his subscription of twenty five hundred dollars.